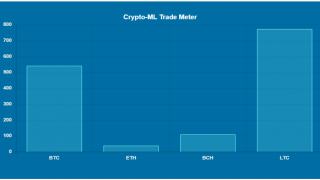 On November 1, Crypto-ML issued a “BUY” signal for Bitcoin Cash (BCH) at $422.68. As of this writing, BCH is at $550+ on Coinbase Pro. That is over a 30% gain in just over 3 days. Bearish conditions in 2018 have been characterized by numerous sharp selloffs that have quickly erased gains. Wait for the Crypto-ML “SELL” signal and potentially grab additional return. Sell a portion of your position to capture some of the profit now and let the rest run. Close your entire position to capture the fast profit but potentially miss out on additional gains. This BCH trade opened at a fantastic price, but cannot be considered a success unless it also closes at a great price. Given the overall market conditions and risk factors, you may decide to capture some of the gains early.